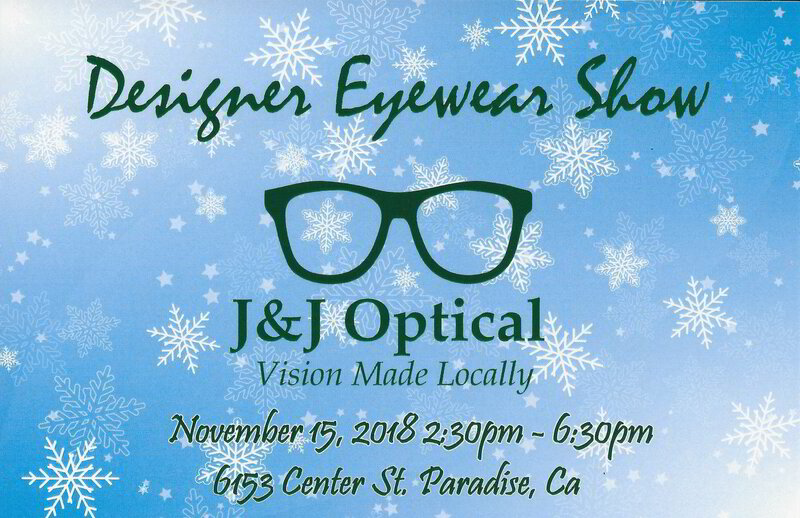 You are invited to join us on Thursday, November 15, 2018, from 2:30 to 6:30 to see the latest designer eyewear fashions from our frame suppliers. All orders placed during the show will receive a 25% discount. Refreshments will be served. This is a great opportunity to update your look for the upcoming holidays and family photos!